Enjoy ticket rebates for each Honda car purchase! Receive a bag of Honda premiums for each Honda car purchase! Prolong your peace of mind with extended warranty and servicing coverage on all 2019 models. Enjoy unbeatable trade-in offers, roadshow gifts and more. Find out how to win the Subaru Impreza 2.0i-S at the Subaru Booth. Guess the number of Shell Helix Bottles and win. Armor All & STP up to 60% off! Armor All & STP booth will have massive discounts of up to 60% OFF! Official Licensed Singapore Motorshow 2019 Event Model Cars on sale at $39.90 each! Grab the exclusive Singapore Motorshow 2019 Event Model Cars(3rd ed) at Korei's Booth (A23)! Grab this Singapore exclusive Tarmac Works Model at our Singapore Motorshow Booth (A23)! While stocks last! Please visit Korei Booth (A23) to secure your Official Motorshow Cars 2019! While stocks last! 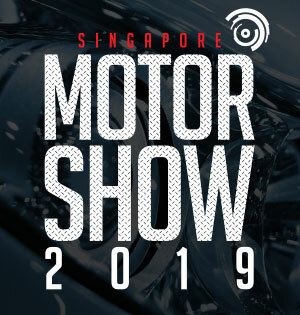 Please visit our booth A23 to secure your Official Singapore Motorshow 2019 event car !